Savvy Spending: Amazon: Ailihen Foldable Headphones for just $9.99! Amazon: Ailihen Foldable Headphones for just $9.99! 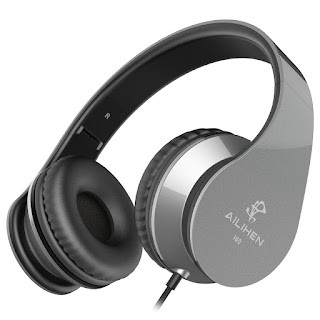 Amazon has these Ailihen headphones for ONLY $9.99 with promo code T4RST6HR at checkout! Power Bass: Equipped with two 40mm high fidelity drivers, delivering unique sound performance, clean well-balanced bass, mids and treble. Designed specially for those who enjoy music with exceptional quality sound. Build-In Microphone and Remote: Omnidirectional mic built for last technology makes a strong and durable audio headphone, hands free talk functionality. Fully Compatibility: with most Android devices, iPhone, iPad,iPod,Computer,PSP,cell phones, audio books tablets,laptop, smartphones ,dvd player and other 3.5mm jack devices. AILIHEN I60 Stereo bass headphones with one year warranty and money-back satisfaction guarantee.